NVBIA hosts a number of events annually, including networking opportunities, regional development and educational events, professional development programs and more. NVBIA’s annual President’s Ball invites members, local and state elected officials to welcome our incoming President along with the entire Leadership Team and Board of Directors. This black-tie optional evening event will begin with a reception and is followed with a formal dinner and dancing. Meet the Builder is a Members-Only event that is a fun and exciting way to establish new relationships and reconnect with home builders and remodelers. Think of it as “speed-dating” with CEOs, CFOs, owners and purchasing managers from NVBIA’s national, regional, local and custom builders. Each builder has its own exhibit space at the event. Associates will have five minutes of uninterrupted time to discuss their products and services with each builder. It is a perfect opportunity for Associates to get in front of our Builder members’ decision makers in a single night. Join our Real Estate Outlook Conference for presentations of emerging trends in real estate. Hear from industry veterans and development visionaries on their key insight into forces and economics that are shaping the real estate business in our region at the local, state and national levels. NVBIA’s annual Crawfish Boil is the first of three seafood-themed throughout the year. Members are able to network with hundreds of members while enjoying this authentically prepared southern delicacy – and a portion of the event’s proceeds will benefit HomeAid Northern Virginia. NVBIA’s legislative breakfast and roundtable discussion provides participants with an overall update of the yearly General Assembly session and its impact on the homebuilding industry from both the state and local perspective. Northern Virginia’s largest open-house home tour is a two-day event, attracting thousands of visitors from the greater Washington Metropolitan and Northern Virginia areas. This self-guided tour will take place the weekend of May 4th and 5th from 11 a.m. to 5 p.m. The Parade of Homes will also highlight builders who have benefited NVBIA’s charitable organization, HANV, which builds and renovates housing for the homeless. This event spans Arlington, Fairfax, Loudoun and Prince William Counties. A complete list of locations and communities is available at vaparade.com. NVBIA’s annual sponsor’s scramble golf tournament, which provides a portion of its proceeds to HomeAid Northern Virginia. The Annual Crab Feast is NVBIA’s most popular summer event! 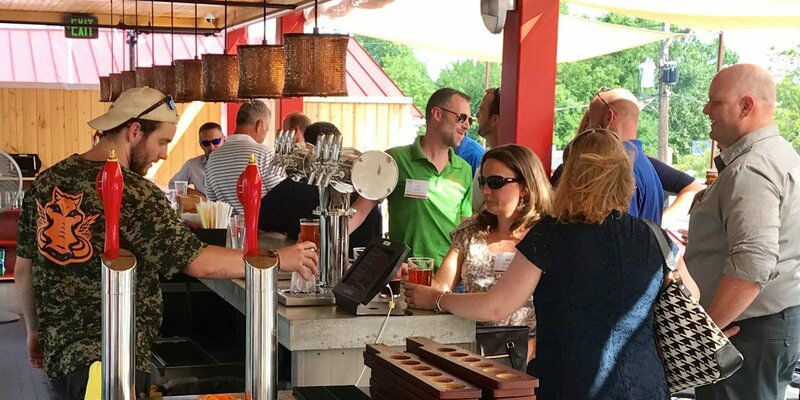 In addition to Maryland crabs, attendees can enjoy plenty of hot dogs, hamburgers and all the fixins while networking with fellow NVBIA members and making new connections. This longstanding NVBIA tradition provides a great networking opportunity for members and also draws local and statewide elected officials together. It also provides attendees the ability to give back to our community through a Halloween costume collection done in partnership with Women Giving Back to benefit local children in need.